Inside (#1 of 10), 2015. Dimensions: 78cm x 53cm. 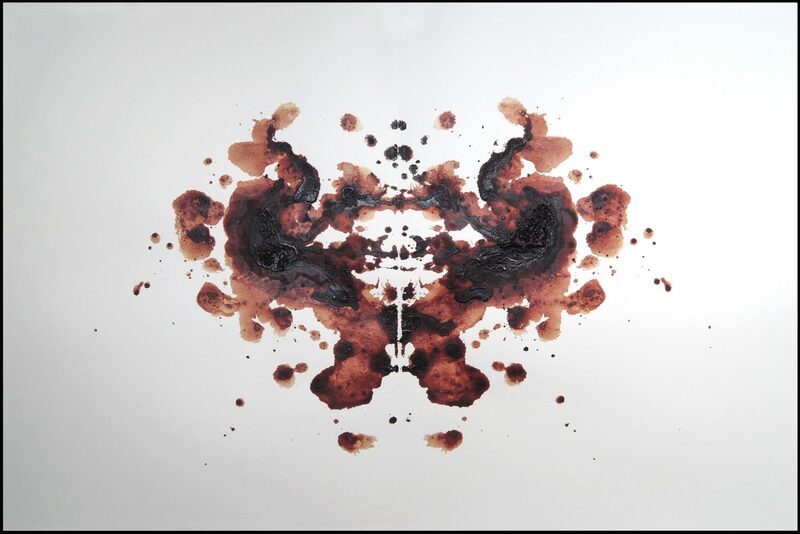 Materials: Artist’s blood on Hahnemühle Etching paper..
Adaption of Hermann Rorschach’s Inkblot Test. Advert, 2014. Dimensions: 120cm x 50cm. Materials: Artist’s blood on canvas. (Left) Share A Coke, 2014: Dimensions: 6.3cm (W) x 21.8cm (H) x 6.3cm (L). Materials: Glass coca-cola bottle filled with artist’s blood. (Right) IV, 2015: Dimensions: 47 cm (W) x 180cm (H) x 47cm (L). 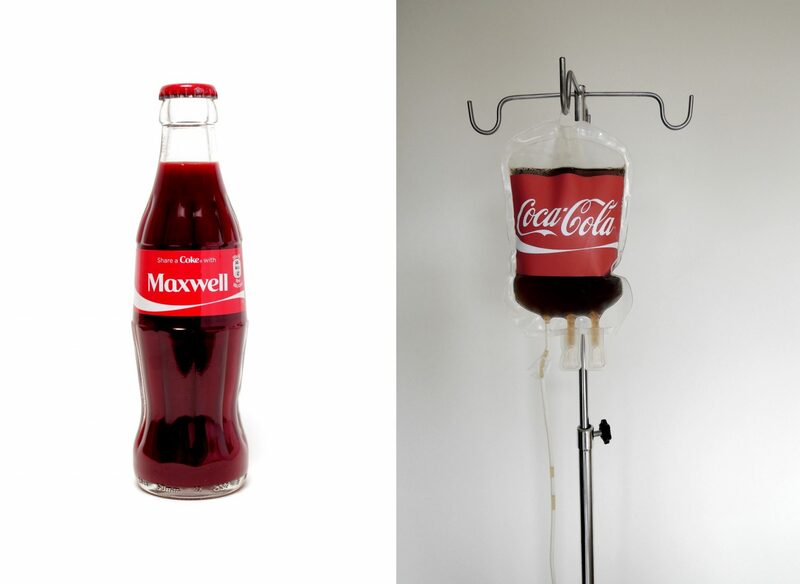 Materials: Coca-Cola filled blood bag hung on IV drip stand. Blood Box, 2011-2017. Dimensions: 25cm (W) x 25cm (H) x 25cm (L). 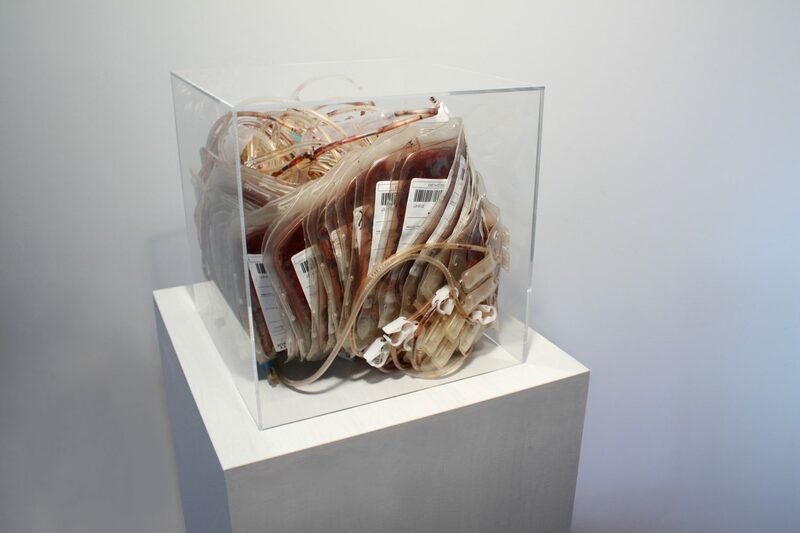 Materials: Perspex box with used blood bags. Inside Out, 2016. Dimensions: 400cm x 200cm. 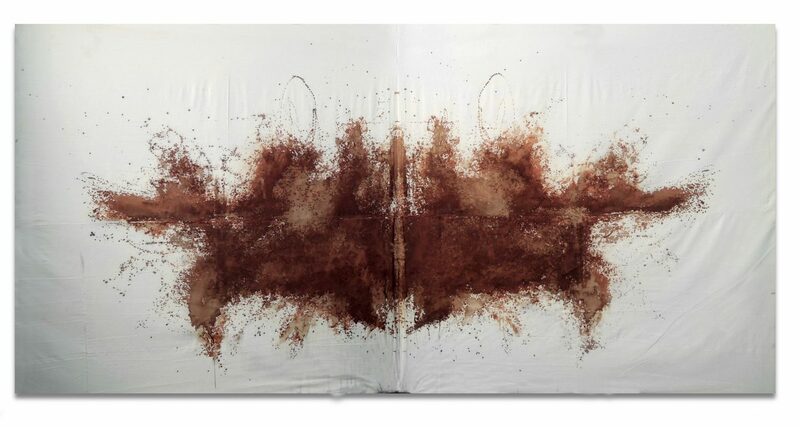 Materials: artist’s blood on canvas.